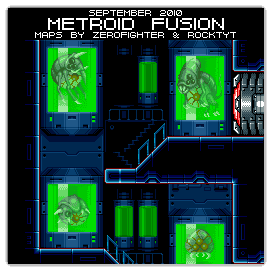 I've always felt bad for purposefully missing out on this game for a silly reason (the whole DNA-infusion-meaning-Samus-is-forever-changed thing), but maybe these maps will help inspire me to pick it up. Fantastic job on the maps. I'll be sure to turn to them when I need help. 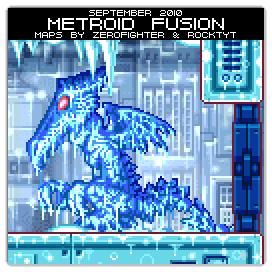 This was one of the first GBA game I tried mapping after the three Castlevanias but it became too difficult to remove the background at the time (it would be much easier now that Visualboy Advance has the option to change the background colour). I started again with it but I quickly got tired of re-doing a whole bunch of stuff I had already done years before. I remember having plans to try and capture every area in every possible state using some cheat codes like Sector 2 (TRO) with and without the vines and Sector 5 (ARC) before and after Nightmare's rampage too. At least someone got to do it and did it well so congratulations to zerofighter & rocktyt!